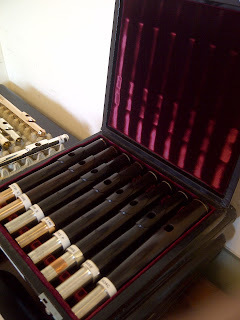 If you have a wooden flute, you might be wondering how often you should send it in for repair. A wooden body certainly is different from a metal one and requires different care. So, how exactly should you care for the wooden flute -- and what measures should you leave to a repair tech? Well, the wooden body requires special care in regard to both temperature and humidity. 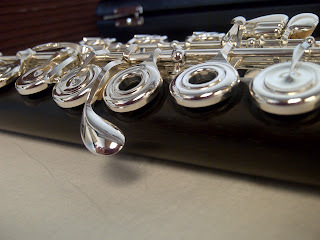 Water can dry out the wood, and we all know that the water you find in your flute after playing comes from all that air running through the flute ultimately condensing. 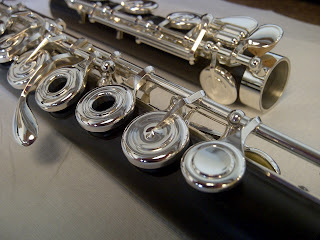 Regular swabbing should do the trick to keep the flute in top shape, but take a look at the bore every now and then. Does the bore look dry or "fuzzy?" If you think it might look dry, it's time to send it to the repair tech to have the wood oiled. It's best to leave this measure to a repair technician to avoid getting any type of oil on the pads or around the tenon cork. Our Powell technician suggests you send in the flute to have the bore oiled every other year, although this can vary depending on several factors including the geographic region where you live, how much playing you do, and how many temperature/humidity changes the flute endures. 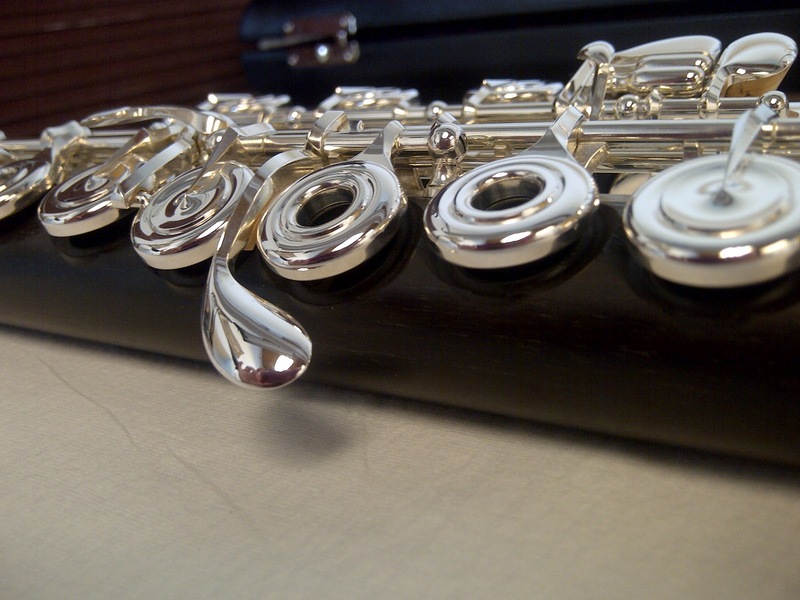 For instance, if you are an active performer traveling all across the country, your flute will be exposed to many (sometimes drastic) changes in temperature and humidity. For example, a tour from Washington to Texas to Chicago and beyond can present many climate changes, so people who do a lot of traveling may need to send in their flute more frequently. The headjoint on your wooden flute can definitely accumulate lots of water from the condensed air, so it is okay to oil the bore on your headjoint. Our repair technician recommends sweet almond oil for this. Take your swabstick and add a very little bit of the oil to the swab. Run it around the inside of the headjoint. Then, take a clean cloth to the swabstick and run that around the inside of the headjoint to remove any excess oil. In the case of oiling the bore, always remember, "less is more," and make sure to contact your repair technician if you have any questions.